L18650-2IDA : 7.4 volt 2400mAh Lithium ION rechargeable battery pack for INTERMEC Trakker Antares 2420, 2425, 2430, 2435, and INTERMEC 5020DCPC, 5020, 5023 series bar code scanners. 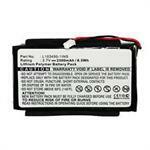 Replaces battery #s 063278, 068537, 068868, 073152, 589557, 63278, 68537, 68868, 73152, A0667755. Provides more operating time than the first generation battery. 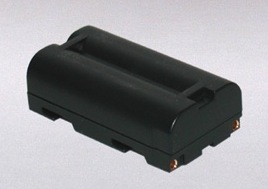 3L1400AS : 3.6 volt 1400mAh rechargeable Ni-Cd battery pack for Husky Itron FS/2, FS/3, MP2500 bar code scanners. Dimensions: 5.90" long x 0.67" diameter.